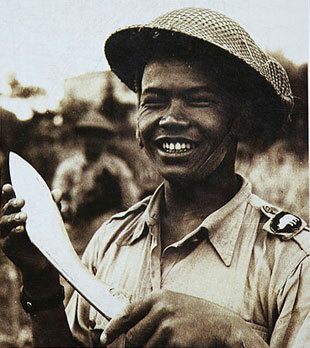 "The Kukri is the national as well as the religious weapon of the Gurkhas. 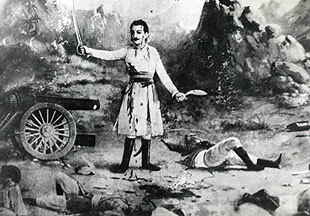 Some of the famous knives of the world such as the Bowie Knife, the Stiletto, the Scimitar, the Roman Sword, the Machete and so on have all, at one time or the other , played great historical roles as formidable weapons with men have demonstrated raw power and courage during times of battle. The Kukri, however, outdoes them all! The great romance and the extraordinary accounts of bravery that this knife evokes are legendary. With its origins going back to ancient times, the Kukri is not only the national knife of Nepal but is also symbolic of the Gurkha soldier, a prized possession with which he has indelibly carved an identity for himself. The awesome cutting edge of the Kukri was first experienced by the British in India who had to face it in the well-documented battles since 1814 while combating the Gorkha army in the western Nepal. Thus was born the legend and the romance. 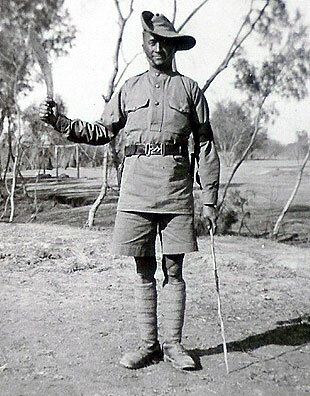 In the Gurkha soldier’s grip, this seemingly small piece of curved steel becomes an incredibly menacing weapon with which he has demonstrated rare feats of bravery while facing the enemy in many battlefields. 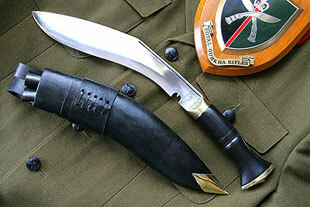 Kukri is a medium-length curved knife each Gurkha soldier carries with him in uniform and in battle. In his grip, it is a formidable razor sharp weapon and a cutting tool. In fact, it is an extension of his arm. 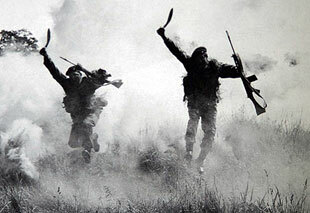 When his rifle misfires, or when his bullets have run out, a Gurkha unsheathes his Kukri makes his final “do or die “run on the enemy in a fury to finish the business. This scene created the romance and the legends. What it really did, and still does, is a super-clean slaughter; the enemy tumbles down in two clean pieces and in surprise!–because his is the kindest, quickest death because it is the quickest. None of us knows the fact that how the Kukri was exactly originated and is still a mystery where and who created it. The originated place and date have also been lost in the mists of time. Here are some facts, which prove that it is one of the oldest knives in the world. The blade shape might have descended from the classic Greek sword of Kopis, which is about 2500 years old. The Machira, the calavry sword of the ancient Macedonians which was carried by the troops of Alexander the Great when invaded northwest India in the 4th Century BC and was copied by local black smiths or Kamis. Some knife exports have found similarities in the construction of some Kukri to the crafting method of old Japanese sword. Thus making the Kukri the oldest knife in the history of world. Some say it was originated from a form of knife first used by the Mallas who came to power in Nepal in the 13th Century. There are some Kukris displayed on the walls of National Museum at Chhauni in Kathmandu which are 500 years old or even more among them one belonged to Drabya Shah, the founder king of the kingdom of Gorkha, in 1627 AD. But the some facts shows that the Kukri’s history is centuries old then this. But other suggest that the Kukri was first used by Kiratis who came to power in Nepal before Lichchhavi age, about 7th Century. What ever may be the facts of how and when it was made, Kukri is the national knife of Nepal, originated in ancient times. More than being just a reverted and effective weapon, however, the kukri is also the peaceful all- purpose knife of the hill people of Nepal. It is a versatile working tool and therefore an indispensable possession of almost every household, especially of those belonging to the Gurungs, Magars, Rai and limbu ethnic groups of central and eastern Nepal. Moreover, apart from the fact that the kukri symbolizes bravery and valor and is a Nepalese cultural icon, it also represents an exquisite piece of Nepalese craftsmanship and is indeed a unique memento for you to buy from Nepal. Most Kukri feature two little knives attached at the back of the sheath held either in a built-in pocket or a leather purse is the complete set. The small sharp knife is a Karda, it serves as a small cutting knife. The other knife is called a Chakmak. It is blunt on both sides and it works like a knife sharpener when one does not have a sharpening stone rubbing both sides of a kukri. This Chakmak when stroked against a lime stone created sparks to start fire also. One unique thing that makes one swallow his fear is the notch just before the start of the blade. What it really did and still does is to interrupt the blood flow to the handle and to let it drip to the soil so one can maintain grip during battle. It is also believed to be a promise by a Gurkha soldier not to kill women and child. The notch also appears to be like a cow foot which is holy and worshiped in Nepal. The Gurkha and his Kukri are incomplete without one another. Together they have earned their fame, which can never to be forgotten. Nepal, the Gurkhas and the Kukri are inseparable.